Our Maxi Pixel Box is an open photo booth setup, complete with a studio backdrop and professional lighting. Our artisan wooden photo booths are gorgeous and one of a kind. The Little Pixel Box experience is very engaging given our touch screens, entertaining props, and of course, all the joy of posing for the camera. The best part is that your photos are printed instantly. 1. Pose for the camera. 2. Say “Cheese” and take a shot. 3. Print – go grab your print! 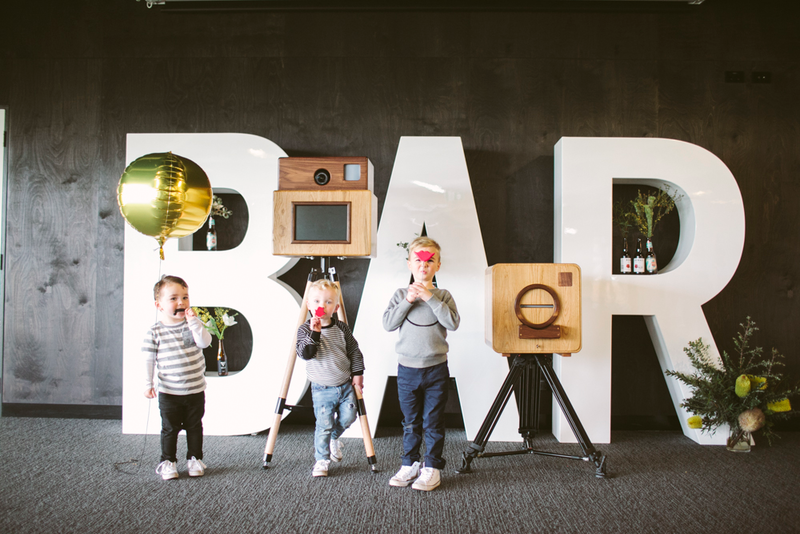 The Maxi Pixel Box offers a unique photo booth experience with its one of a kind artisan design, versatility and state of the art technology. Our wide range of customisations allows you to personalise your backdrop, photo print, props and guestbook. The instant photo printing will create a wonderful opportunity for your guests to capture their everlasting memories. Want the Little Pixel Box experience? We would love to be a part of your very special day!